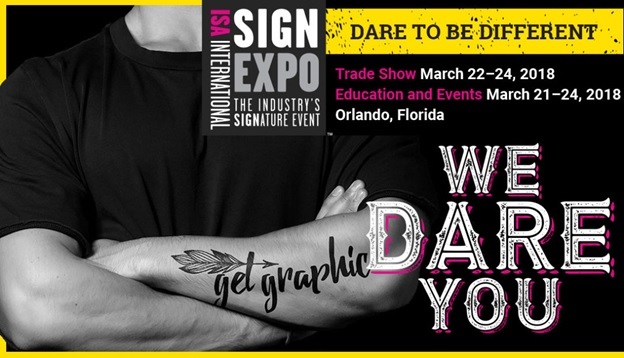 Hop-Syn synthetic paper, the substrate of choice by big brands for indoor and outdoor signage, will be demonstrated live at swissQprint’s booth #5642 at ISA Sign Expo. The Expo takes place March 22-24 in Orlando, FL. swissQprint will feature the Hop-Syn XT grade, a durable and environmentally-friendly substrate for point of purchase displays, hang tags, book covers, menus, posters, and outdoor signs. The UV inkjet print manufacturer featured Hop-Syn XT with its Nyala LED printer at SGIA Expo 2017, and due to its success, the company is conducting live demonstrations again, this time at ISA Sign Expo 2018. At ISA Expo, swissQprint will print samples of its Colours advertisement, which showcases the high-quality output of the Nyala LED printer and Hop-Syn XT synthetic paper grade. Hop-Syn’s consistency is a coveted feature that ensures the high-quality results that customers value. swissQprint is printing on Hop-Syn XT .010 gauge, custom sized at 27 ½ x 39 ⅝. Hop Industries’ in-house converting services give customers the exact size they require for their specific projects. Hop-Syn XT is an extra tear resistant synthetic paper made from a unique mixture of calcium carbonate and polypropylene resin. The environmentally-friendly substrate is 100% recyclable, and exceeds compliance requirements with the Restriction of Hazardous Substances (RoHS) directive for harsh chemical content. Hop-Syn XT is manufactured with UV inhibitors and whitening agents that deliver sheet brightness and opacity up to 94%. Its extra tear strength and weather resistant properties meet the most demanding environmental conditions. Free samples of Hop-Syn and swissQprint output will be available at ISA Sign Expo. Interested parties can also request samples of Hop-Syn to print in-house. For questions or more information visit www.hopsyn.com or call 800-524-0757.